Adult Education Society is a non for profit civil society organization established in 2000 with the aim of achieving the objectives in the field of adult learning and education. • The society which organization and the overall development is based on knowledge and skills of its citizens. Affirmation, support and development of adult learning and education, promotion of lifelong learning culture and support to social inclusion and international cooperation in the field of adult learning and education. • Citizens are motivated to engage in programs and activities of learning and education. • Participation in the activities of adult learning and education is substantial. • Opportunities for learning and education are high-quality, accessible and visible. • The providers of programs and activities of learning and education are numerous, qualified, networked and visible. • International expert exchanges and cooperation in the field of adult education and learning is intense. The organs of the AES are: Assembly, the Steering Committee and Director. Members and associates of the AES are primarily andragogists, but in general professionals in the field of adult education and learning. 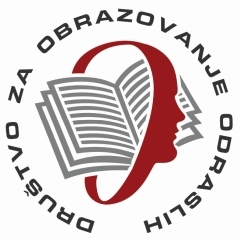 The AES implements its projects in cooperation with the range of partner organizations across Serbia – institutions responsible for adult education, local community centres for culture and education, NGOs, private educational organizations, departments for training in institutions and companies, etc. Besides the partners in the country Society cooperates with many similar organizations in the region and in Europe. Long-term cooperation with DVV International (Institute for International Cooperation of the Deutscher Volkshochschul-Verband e.V.) has made a major contribution to the sustainability of the AES. The AES intensively cooperating with the EAEA (European Association for Adult Education), the UIL (UNESCO Institute for Lifelong Learning), with national organizations in adult education of a large number of European countries (Denmark, England, Finland, Greece, Germany, Portugal, Romania, Slovenia, Spain, Switzerland, Sweden…), as well as other organizations (KulturKontakt, ETF, REF…).